Are you ready to take the #IceBoxChallenge? Using the sliders below, estimate the amount of ice that will remain in each Ice Box on September 13th. Submit your name, phone number and email address for a chance to win. We will contact you if you are a winner. Contest runs from September 6-13th. The Contest is open to individuals who are 18 years of age or older and reside in California. All entrants are required to submit their full legal name, telephone number and e-mail address. Selected winners may be required to provide proof of age and residency, to be deemed the official winners. There is no fee to enter the Contest; no purchase is necessary. The Contest is limited to one entry per person. Passive House California reserves the right to reject what it deems to be multiple entries form one person. 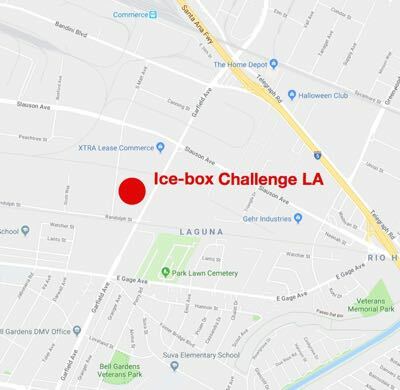 The winning entry will be determined by comparing the sum of each Contestant’s guesses for the final weight of the ice from both structures, to the actual weight of the combined remaining ice from the structures on September 13, 2018. The contestant whose entry has a combined weight of the remaining ice from both structures that is the closest to the actual combined weight will be determined to be the winning entry. In the event of a tie, the contestant’s entry that has the closest weight of the actual weight of the remaining ice in the Passive House structure will be deemed to be the winner. The second prizes will be awarded to the second closest entry to the actual weight of the combined remaining ice with the same tie-breaking procedure, if necessary. To win claim their prize, contestant will be required to answer a simple mathematical skill-testing question. In the event that the wining contestants do not claim their prizes within 48 hours after being contacted by telephone and/or e-mail, Passive House California reserves the right to award the prize to runner up contestants. Prizes must be accepted as described in the Contest Terms and Conditions and cannot be transferred to another individual, substituted for another prize or exchanged in whole or in part for cash or credit. Passive House California reserves the right, in its sole and absolute discretion and for any reason whatsoever, to substitute a prize or any part thereof, with an alternate prize of equivalent or approximate value. Passive House California and their designees are not responsible for any losses or damages resulting from the awarding of any of the prizes in the Contest, nor do they make any express or implied warranties of any kind with respect to safety or performance of any prize. b) If selected as a potential Prize winner, to sign the Passive House California form of Declaration and Release and provide a personal photograph as pre-conditions to winning a prize. The Releasees will not be responsible for lost, incomplete, late or misdirected entries or for any failure of the Contest website or app during the contest period, or for any technical malfunction or other problems with, any telephone network or lines, computer on-line systems, servers, access providers, computer equipment or software or for any technical problems or traffic congestion on the Internet or at any website or app, or any combination of the foregoing, and will not be liable for any resulting injury, death or damage to any person or property arising from, or relating to, that person’s or any other person’s participation or attempted participation in the contest. Any attempt to deliberately damage any website or app or to undermine the legitimate operation of this contest is a violation of criminal and civil laws and, should such an attempt be made, Passive House California reserves the right to seek remedies and damages to the fullest extent permitted by law, including criminal prosecution. 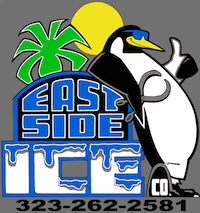 By submitting an entry to the Ice Box Challenge Contest, you understand that, during the course of or in connection with the Contest, photographs, video, and other recordings (the “Depictions”) may be taken of you, and your hereby grant Passive House California and their designees and licensees the right, in any and all manner and media throughout the world and in perpetuity, to disseminate, reproduce, record, exhibit, print and publish the Depictions, which may include your name, likeness, for any purpose, including, without limitation as news or informative matter and for advertising and publicizing Passive House California and their designees.